WHAT ARE YOU WILLING TO DO? Assignment. 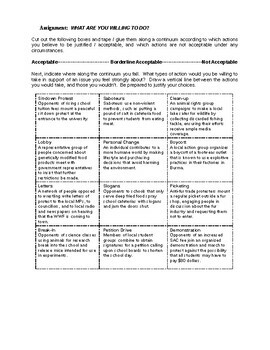 A simple partner/small group assignment that has students decide what types of protests are acceptable and justify them to class. Good activity as an introduction to influencing government or Law.